How could meditation help when you are trapped in a cave and may think you are about to die? 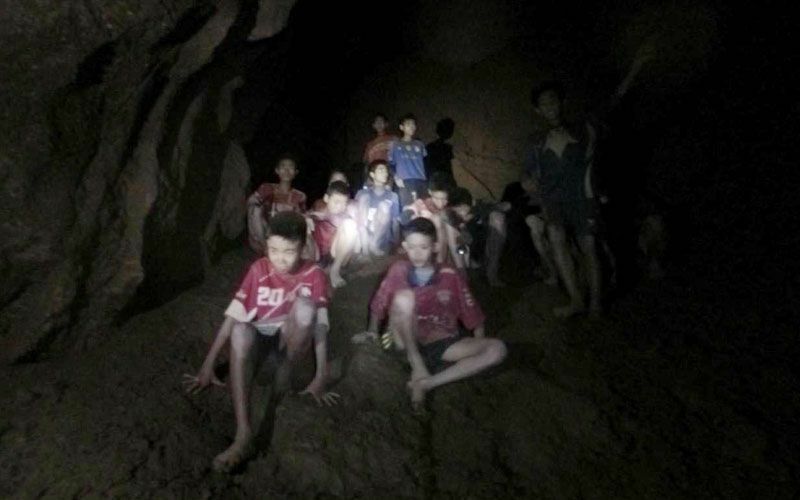 We’ve heard the story of 12 Thai boys and their football coach who were rescued from a flooded cave in Northern Thailand after spending there almost 10 days. In order to survive, they were guided into meditation by their coach, who had once been a Monk, and miraculously – it helped them attract the rescue team and survive. Peace Revolution Teaching Monk John Paramai explains how it was possible. When we meditate, we reduce the need to use energy. When the body is still, the amount of energy that the body needs decreases. Then, as we observe our breath during meditation, we make our breathing softer, smoother and longer. This is how the body naturally needs less energy resulting in less metabolism and lower oxygen consumption. Therefore, meditators can stay alive many days with less food or in some case with no food at all. If we got trapped in a room with no light for days without knowing when we would be freed, would we be able to let go of worry from the mind? When the amount of worry is more than the amount of hope, we – humans – develop fear in the mind. Meditation reduces the number of thoughts. Moreover, meditators can choose positive thoughts over negative ones. Those who meditate regularly will fear nothing regardless of the situation they are in. Getting trapped in a place with so many people, how did the boys stay so calm? It looks as if they didn’t have any conflict with each other at all. When we meditate, we develop empathy, and that’s how we can see and understand from other people’s perspective. Those who meditate regularly will not only think about themselves, but will develop compassion towards others. That might be the secret of how all the boys survived and no one was left behind before the rescue team arrived. Waiting requires patience, which is always hard to find and easy to lose. People get tired of waiting, especially when you have to wait indefinitely. The mind that can let go, helps us wait longer. Additionally, the amount of expectation that keeps growing every minute we wait, is gong to blow our patience away. When we meditate, we learn to let go, lower our expectations and stay with the present. And that’s how patience is developed. Buddha taught us that the mind is everything: what you think, you become. When we meditate, our mind cultivates positive energy which by the law of attraction, will attract positive things to your life. When all boys meditated together, the amount of their combined positive energy could potentially attract the rescue team that finally discovered them. And this is the secret power of the mind. If you wonder where to start exploring the power of your mind, you may consider applying for the upcoming Peace Revolution Fellowship in Thailand. Previous PostPrevious Pourquoi devons-nous être en paix avec les autres? Next PostNext How To Sit During Meditation?